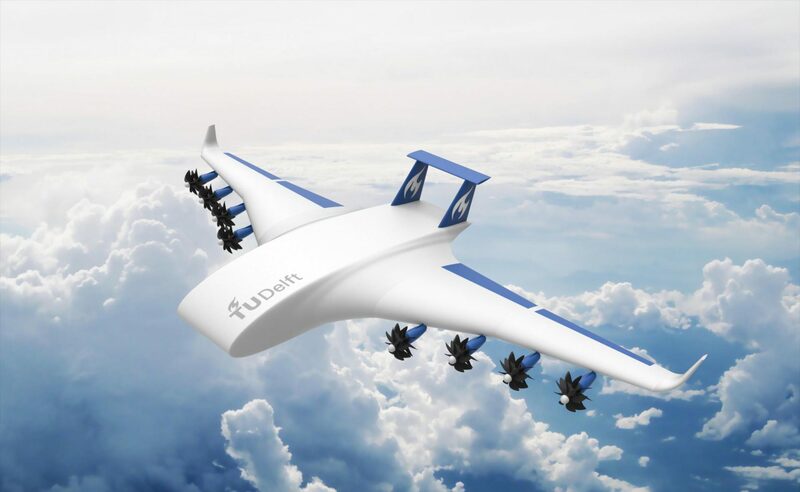 The unmanned cargo aircraft (UCA) envisioned for the medium-term future have a payload of 2 to 20 tonnes and a range of 1000-10,000 km. Their cruising speed of around 450 km/h gives them low landing speeds and their propeller propulsion provides good acceleration during tale-off and braking power during landing. All this should enable them to operate from runways no longer than 1000-1500 m. It is possible, depending on the design of the UCA, to increase the descent angle from the normal 3 degrees to 7 degrees or more, allowing operations from airfields surrounded by obstacles like mountains or buildings. Therefore, UCA are well suited for operating out of regional airports, of which there are thousands around the world. It is no problem to design UCA that can operate from grass and gravel strips, although this may incur extra cost. For carrying products from a regional airport to airports close to the end clients. An example: there are more than sixty cities in China with more than a million inhabitants, but many of them cannot efficiently be reached by air from Europe or the United States because passenger and cargo volumes are too low for scheduled air services. Still, these cities have products to offer to the rest of the world. For flights to other regional airports, possibly in thinly populated areas. An example: cargo is delivered from a harbour to a nearby regional airport and then flown to remote areas by UCA. For emergency or disaster relief flights from regional or other small airports. Another option is to establish small airstrips near industrial parks or other centres of economic activity, so that, for example, parts or sub-assemblies can be delivered at the manufacturer’s doorstep. Whether this is economically feasible depends on the specific situation. Building the airstrip and associated road infrastructure poses no technical problems as long as sufficient space is available. There is no need for equipment such as visual approach systems. The challenge, like with any landing site for UCA, is that the guidance and control equipment for safe and reliable take-off and landings is not yet available and has not even been specified. Present-day military unmanned aircraft utilize an elaborate control system, each flight is meticulously planned and these aircraft operate in specially assigned airspace, often in remote areas. Operating large numbers of UCA in airspace with other traffic, close to populated areas, and with many operators (airlines, shippers etc.) involved is an altogether different proposition. It is technically entirely feasible, but it will take time and effort to develop the necessary equipment, infrastructure, organization and procedures. The best way forward is probably a worldwide standardized take-off and landing guidance and control system for UCA and other unmanned aircraft. Specialized controllers stationed at airfields can take care of take-off and landing UCA, thereby increasing efficiency and possibly safety, and making it easy for operators to include new destinations in their network. En-route guidance and control is also necessary, but that is a different problem and falls outside the scope of this fact sheet. As for other infrastructure, UCA can be constructed so as to require minimal ground handling equipment, and preferably make use of equipment that is available by default on any landing site. For example, loading and unloading should be accomplished by using forklift vehicles that are available wherever cargo is handled. Present-day regional passenger aircraft are constructed to the same requirements. It is often said that airports generate economic activity in the regions where they are located. This is sometimes the case, but often it is the other way around. If an airport is built in a region with beautiful beaches that were hitherto inaccessible for tourists, economic activity will be generated. But the airport does not generate economic activity, it unlocks a potential that was already there. This can, depending on the local situation, be the case with UCA. If a region can produce valuable goods but there are no means (like ground infrastructure) to get them to potential clients, then UCA operating from regional airports may be a solution. Many regional airports suffer from under-utilization; the local market is too small to support scheduled services to more than a few destinations, if at all. 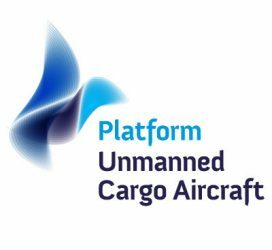 UCA offer the possibility to transport small volumes of cargo efficiently, on both short and long distances, without dependence on passenger traffic as an enabler for opening air services. In a country like China, many large cities are hundreds of kilometres away from airports that have scheduled air services to Europe and the U.S. Deploying UCA has the potential to create significant economic traffic between producers and clients, ideally also creating return streams of cargo as these clients become more affluent.